The City of Aurora Fire Department provides fire services to the residents, visitors, and businesses of our community. In addition to these two services, public safety programs, building safety inspections, and emergency management and communications are also provided. We are a completely volunteer fire department meaning firefighters are not compensated for their service to the community. Currently the Aurora Volunteer Fire Department has 32 members. The Volunteer Firefighters respond to the fire station for necessary equipment then to the scene of an emergency. Officers of the Department include a Fire Chief, Deputy Chief, and a Training Officer. The Fire Department has one fire station located in the center of the City. Our department has a mutual aid agreement with all bordering communities. We are also members of the Hamilton County rural Fire District. The members of our department are all professionally trained and meet or exceed all minimum training requirements to perform various functions of fire and other types of emergencies. The Aurora Volunteer Fire Department is committed to providing our residents with the highest level of service available. As Fire Chief, I am continually researching ways our services can be improved for the health and safety of our residents, businesses, visitors and our firefighters. A Firefighter with Aurora since 1993; a Firefighter with the City of Hastings 1996-1998; in 1998 became a Firefighter and Paramedic with the City of Grand Island. Currently Tom is a full-time employee serving as a Fire Captain with the City of Grand Island Fire Department. 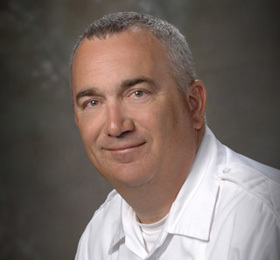 Tom has been the Chief of the City of Aurora (Volunteer) Fire Department since January 2005. Chief Cox is currently working towards an Associates Degree in Fire Science. Tom ix a member of the Sons of the Legionnaires Post 42 in Aurora and is also on the Aurora High School Athletic Booster Club Board of Directors. Hobbies include attending his children’s athletic events, is a Nebraska Baseball season ticket holder, hunting, and fishing. Tom and his family reside in the City of Aurora.